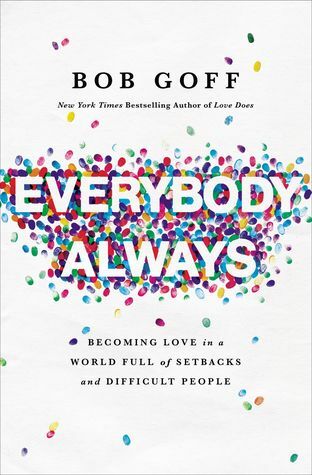 Driven by Bob’s trademark storytelling, Everybody, Alwaysreveals the lessons Bob learned–often the hard way–about what it means to love without inhibition, insecurity, or restriction. From finding the right friends to discovering the upside of failure, Everybody, Always points the way to embodying love by doing the unexpected, the intimidating, the seemingly impossible. Whether losing his shoes while skydiving solo or befriending a Ugandan witch doctor, Bob steps into life with a no-limits embrace of others that is as infectious as it is extraordinarily ordinary. Everybody, Always reveals how we can do the same. I’ve been searching for around for new Christian books to read and I’ve seen Everybody, Always around a lot and so many people have high praise for it so I knew it had to go at the top on my TBR. I really liked this book but there was a few things here and there that weren’t my favorite. I did, of course, love the message of the book. Mr. Goff used each personal story as a lead up for how to become love and really express it, which I really liked. I really enjoyed hearing about his life stories and he’s had some very unique ones. Sometimes I did feel like the stories weren’t very organized and that the book was more of a memoir, which I didn’t mind but it also wasn’t that I expected when I started reading. I thought it was interesting how casually Mr. Goff mentioned how upper class his life and activities were through out the book. It’s not something I, or many people, can relate to so I felt a pretty big disconnect. I wasn’t really sure if Mr. Goff really noticed how most of the things he mentions are very privileged. Perhaps it’s just the mild disorganized manner of the stories that unintentionally paints that picture but I’m really not sure. And I also feel the thing that bothered me the most, was something he mentioned towards the very end of the book. He mentioned how he told witch doctors from Uganda to not kidnap children or he’ll kill them. I was so startled by that and honestly, I haven’t stopped thinking about it. It felt extremely out of place from the message of the book. I’m obviously not saying it’s okay for those witch doctors to kidnap children but saying “don’t make me kill you” is a very bold statement. Other than a few things, I did really enjoy the book and I think the message is so important. I definitely took away from very meaningful things and I would recommend checking this book out. I listened to it on audiobook with Mr. Goff narrating and I really loved it so if you get chance to listen to the audiobook, I definitely recommend it. This was my forth Sarah Dessen book and they’re so addicting and fun. Dessen books have become my new favorite way to get out of reading slumps. I, for some unknown reason, had absurdly high expectations for Once and for All. I don’t know if it was the cute colors of the cover or the synopsis was calling to me but I went into this book expecting a lot. And it actually delivered for the most part. I’m very impressed that a book that I had high hopes for wasn’t a complete fail. I thought the plot of this book was extremely fun and I can definitely see myself rereading Once and for All. I loved all the weddings so much. 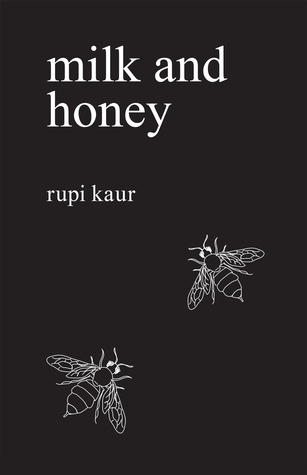 It was really different from other books I’ve read and I appreciated that a lot. I also really liked the characters. I loved the dynamics between Louna and Ambrose. The dialogue between them was awesome and I really fell in love with both characters. I loved how realistic Louna and Ambrose’s relationship was. There wasn’t any insta-love, which I’m not a fan of, so that was a big plus for me. 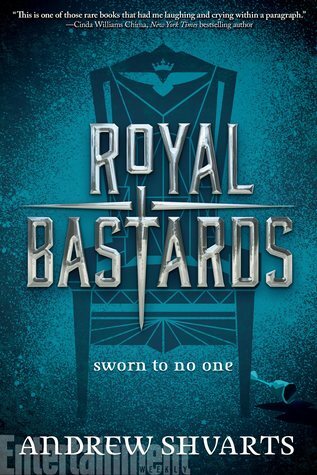 The only thing I’m not really into is how even though Louna and her mom are described as having olive skin tones early on in the book, that doesn’t seem to be reflected on the cover of the book. I wish there had been a more accurate and representative model on the cover. 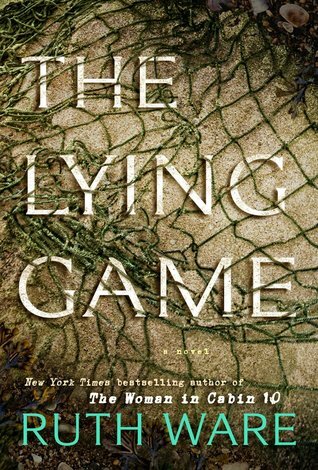 Overall, I really enjoyed this book and it’s definitely one of my favorite books from Sarah (tied with Just Listen for my favorite). I loved Louna and Ambrose so much and I’m still laughing over some of the things Ambrose said. If you want a fun YA contemporary, I definitely recommend Once and for All. A beautifully written food memoir chronicling one cook’s journey from her rural Midwestern hometown to the intoxicating world of New York City fine dining and back again in search of her culinary roots. Before Amy Thielen frantically plated rings of truffled potatoes in some of New York City s finest kitchens for chefs David Bouley, Daniel Boulud, and Jean-Georges Vongerichten she grew up in a northern Minnesota town home to the nation s largest French fry factory, the headwaters of the fast food nation, with a mother whose generous cooking pulsed with joy, family drama, and an overabundance of butter. Inspired by her grandmother s tales of cooking on the family farm, Thielen moves with her artist husband to the rustic, off-the-grid cabin he built in the woods. There, standing at the stove three times a day, she finds the seed of a growing food obsession that leads to the sensory madhouse of New York s top haute cuisine brigades. When she goes home, she comes face to face with her past, and a curious truth: that beneath every foie gras sauce lies a rural foundation of potatoes and onions, and that taste memory is the most important ingredient of all. Give a Girl a Knife is probably one of the most surprisingly entertaining books I’ve ever read. I was super curious about this book when I started it and I didn’t expect to enjoy it so much that I would read it in one sitting. I loved how well written this book was and Amy was able to give a lot of great insight to restaurant kitchens. I actually learned a lot and learning new things is always something I’m looking for in non-fiction book. I also really appreciated how Amy talked about her experiences a women in a male dominated field. As a fellow Midwesterner, I was able to relate to Amy a lot and I wasn’t expecting that. I really loved how Amy mixed her Midwest roots with her culinary skills. I thought reading about Amy’s approach to food and how she builds her dishes was really fascinating and again, I learned a lot. Overall, I really enjoyed this book and it has become an unexpected favorite of mine. It’s very well written and educational in the most entertaining way. 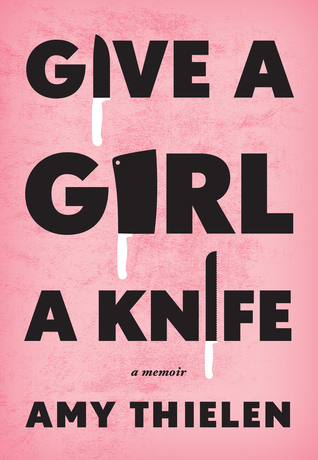 If you’re looking for an awesome non-fiction read, I’d recommend grabbing a copy of Give a Girl A Knife. This book was so cute and I really enjoyed it. It gave me Kasie West vibes and was perfectly diverse. I really loved the plot and how Dimple was so driven by her passion. She was very goal oriented, something I don’t see that often in contemporary books. I did really like Rishi as well but I didn’t quite connect to him like I did Dimple. I kind of wished Dimple was a little more open to her fellow girls. I felt like there was some (very slight) girl hate through out the book and I wish there would have been more uplifting and empowering girl friendships. I also really loved how When Dimple Met Rishi was full of Indian culture and how organically it was incorporated into the story. 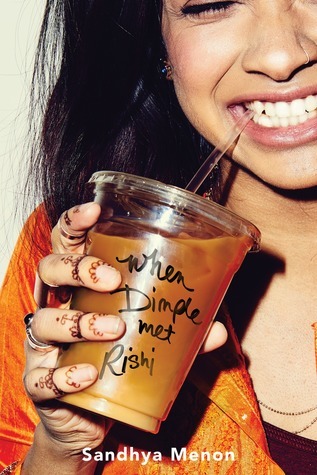 Overall, When Dimple Met Rishi was a really great, fluffy YA contemporary. I loved the plot and the writing was awesome. If you’re looking for a cute summer read, you’ll want to pick this book up. I was sent an ARC of this book from the publisher in exchange for an honest review. Flame in the Mist is one of the best books I’ve read this year. It was so original, well written, and I really liked the main character. It was a little slow at times and I was kind of confused at first but once I got into the plot and understood what was going on, I really liked it. It was very difficult for me to keep track of the characters. A lot of the characters had nicknames and titles and it was all thrown around at the same time. I feel like I would have to read this book a second time to really understand who was who. However, I haven’t really seen anyone else have this issue so maybe it was just me. The main character, Mariko, was such a badass and I felt like she could totally have her own action movie. She did come across as spoiled at times, which was kind of annoying, but it was definitely because of her upbringing and it made sense. My favorite things about Flame in the Mist was the plot and setting. The plot was so engaging and captivating. I really liked the Mulan-like elements. I don’t know if this was meant to be a retelling but it definitely felt like one. The setting was absolutely amazing. The Japanese culture paired with the writing style was a match made in heaven. I loved how much detail there was on Japanese culture from the food to the traditions. Renee’s descriptions of things painted a beautiful picture and I loved it so much. 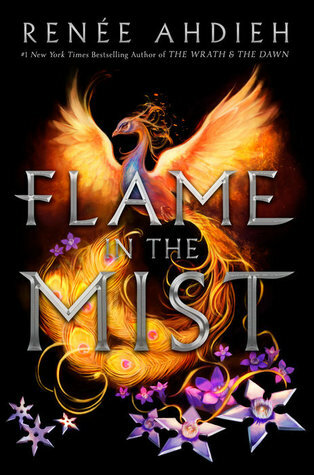 I haven’t read Renee’s other books so I can’t compared Flame in the Mist to The Wrath and the Dawn but I’ll definitely be picking up TWATD very soon. Overall, Flame in the Mist is one of my favorite books of 2017 and I definitely recommend it. The writing style, setting, and diversity was amazing and I can’t wait for the next book in Mariko’s story. You Can Be a Spiritual Warrior. There’s no better time than this moment to put on your warrior boots and discover the fearless life you’ve been called to live. I wasn’t sure what to expect when I started this book but I actually really liked it. I found it to be super helpful and I loved how it’s geared towards women with busy lives. The author talks a lot about how when it comes down to it, praying is what will help more than anything else and I definitely needed that reminder. 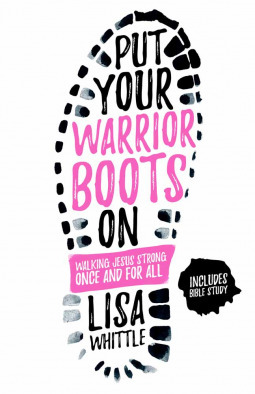 I loved the questions at the end of each chapter and I think Put Your Warrior Boots On would make a great book for a women’s Bible study or just discussion with friends.